Martin Heidegger (; ; 26 September 188926 May 1976) was a German philosopher and a seminal thinker in the Continental tradition and philosophical hermeneutics, and is "widely acknowledged to be one of the most original and important philosophers of the 20th century." Heidegger is best known for his contributions to phenomenology and existentialism, though as the ''Stanford Encyclopedia of Philosophy'' cautions, "his thinking should be identified as part of such philosophical movements only with extreme care and qualification". 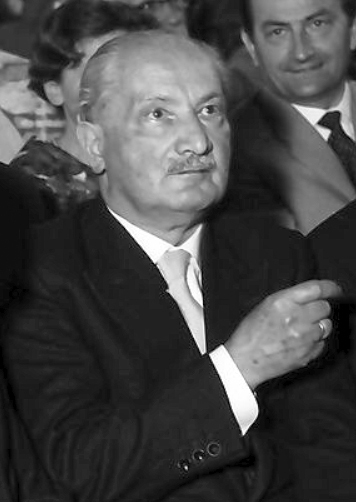 Heidegger's membership in and public support for the Nazi Party has been the subject of widespread controversy regarding the extent to which his Nazism influenced his philosophy. His first and best known book, ''Being and Time'' (1927), though unfinished, is one of the central philosophical works of the 20th century. In its first part, Heidegger attempted to turn away from "ontic" questions about beings to ontological questions about Being, and recover the most fundamental philosophical question: the question of Being, of what it means for something to be. Heidegger approached the question through an inquiry into the being that has an understanding of Being, and asks the question about it, namely, Human being, which he called ''Dasein'' ("being-there"). Heidegger argued that ''Dasein'' is defined by Care, its practically engaged and concernful mode of being-in-the-world, in opposition to such Rationalist thinkers as René Descartes who located the essence of man in his thinking abilities. For Heidegger thinking is thinking ''about'' things originally discovered in our everyday practical engagements. The consequence of this is that our capacity to think cannot be the most central quality of our being because thinking is a reflecting upon this more original way of discovering the world. In the second part of his book, Heidegger argues that human being is even more fundamentally structured by its Temporality, or its concern with, and relationship to time, existing as a structurally open "possibility-for-being". He emphasized the importance of Authenticity in human existence, involving a truthful relationship to our thrownness into a world which we are "always already" concerned with, and to our being-towards-death, the Finitude of the time and being we are given, and the closing down of our various possibilities for being through time. Existence and being. With an introd. by Werner Brock. Philosophy and religion : selections from the twentieth century.